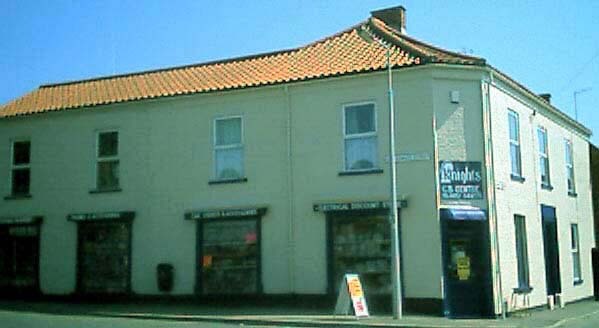 ...we have been here supplying CB equipment since 1981, but the family have had a shop in the town for over 40 years. Unlike some other companies who either trade from their home, from a garage or from a lock-up on an industrial estate, we welcome visitors at anytime. No appointment is necessary for you to come and have a look at what we believe is the largest display of CB equipment in the UK. Beware of any company that asks you to make an appointment before you can see them - do they have something to hide ?? Knights have been providing all the best in CB equipment in the UK since 1981, but have had a shop in the same town since the early 60's. From our large retail premises we also supply goods across the UK by our fast mail order service. We have always tried to keep as close to our customers as possible, for example by our free quarterly newsletter sent direct to all our customers. So we are pleased to be able to reach customers even quicker and more direct via the internet. We will continue to develop these pages to bring you news of all that's best in CB. In 1994 the UK's only CB magazine held a survey of it's readers. Amongst the questions was a vote for the best CB supplier. We were delighted to be voted the UK's No.1 supplier of CB equipment, and in the words of the magazine we won "hand's down". This still remains the only national survey undertaken, and so we are pleased to still be able to say we are the Official UK No.1 supplier of CB equipment. We hope to use these pages to not only make our presence known to new customers but also to help keep our regular customers up to date with all the latest CB news. In addition to our quarterly news letter we will also update our website with new information as we receive it.